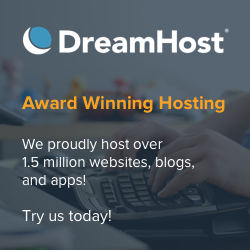 Home » Animations » DreamWorks at your home! The economy in Second Life is not always easy to follow. Land is bloody expensive. Objects are relatively cheap (around L$75-L$300 for good creations, homes and vehicles tend to go a little beyond the upper scale). Scripting is assumedly one of the worst-payed activities. Nobody buys scripts (there ARE exceptions), however, scripted objects are worth much more than regular ones, specially if you got an UNIQUE object (I built my own “magic ring” for changing the walking animations. The magic ring is awful, just a few glass cubes glued on a metal torus, but the script makes the difference). Events usually gather much money. Clothes are stupidly easy to do, as said, so only very good designers and stylists get good money from their creations. After all, you can create average-looking clothes just by using the in-built tools in Second Life! But animations… ah, animations are always in great demand! The prices can be rocket-high. I’ve been charged L$75 for just one simple pose (so not really an animation). For two poses I could get a pre-fab home! (much more useful). Average dance routines start at L$150 or so (the ones everyone has) and a little more exclusive ones cost perhaps L$300 or L$500. Of course, the really exclusive ones can’t be got in the shops. You have to go to a Master Animator for that. And don’t even talk about very sensual animations or explicitly sexual ones. You can’t get them, period. You have to buy objects where they’re incorporated and that’s that! So I thought to give it a try. 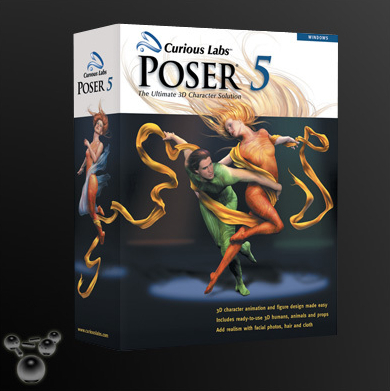 Linden Labs recommend Poser 4 or 5 to create “special” BVH files (this actually means that BVH files created by some other programs won’t work as well), so I downloaded the demo version (you can’t do almost nothing with it. More important than that, it doesn’t save your work. And it’s limited to 30 days). Alarmed with the complexity of most programs, I was thinking if I would need a master’s degree in computer animation just to create a simple movement (say, a twist of the hand or so). Actually, my alter ego in Real Life has some theoretical know-how in computer graphics and did some ray-tracing algorithms and 3D-modellers during the student days. So I wasn’t too discouraged and thought about seeing what I could do. I was impressed. Poser is stupidly simple to use. So simple, as a matter of fact, that creating decent-looking animations is a piece of cake. Hell, I could do a new gesture in about half an hour, and it looked almost good. I guess I could be doing complete dance animations in a day or so! Oh my goodness. This is almost too good to be true! Dollar signs were appearing in front of my eyes (well, L$ signs, anyway) when I thought about the money I could make! Next thing I saw, most animations in the game haven’t been done by the so-called authors at all! No, there are THOUSANDS of animations out there, ready for download, and people just upload them into Second Life and sell them like pancakes – at sky-high prices! Oh gosh. This is going to be fun. Poser 5 for free… for a while! Next post Help! Do I need therapy? ?